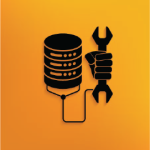 In this blog, I will provide answers to the Q & A for the Troubleshooting MySQL Concurrency Issues with Load Testing Tools webinar. Welcome to another post in our series of interview blogs for the upcoming Percona Live Europe 2017 in Dublin. This series highlights a number of talks that will be at the conference and gives a short preview of what attendees can expect to learn from the presenter. In this blog post, I will demonstrate how to run and use sysbench histograms. In this blog post, we’ll look at Performance Schema benchmarks for OLTP Read/Write workloads. In this blog post, we’ll discuss how to benchmark MongoDB with sysbench. In an earlier post, I mentioned our use of sysbench-mongodb (via this fork) to run benchmarks of MongoDB servers. I now want to share our work extending sysbench to make it work with MongoDB. The MySQL query cache: Worst enemy or best friend? Last week I hosted a webinar on using MySQL in the cloud for High Availability (HA) alongside 451 Research analyst Jason Stamper. You can watch the recording and also download the slides (free) here. Just click the “Register” button at the end of that page. IMPORTANT: DON’T TRY THIS IN PRODUCTION. As demonstrated by Marko (see comments), it may corrupt your data.